Okay, I admit, this movie does not fall under the category of “horror”—but it does contain certain elements of the genre, aside from being about the Master of Suspense’s first foray into horror filmmaking with Psycho. We open with a creepy scene of Ed Gein, the real-life inspiration behind Norman Bates of Psycho fame. Then that classic music from “Hitchcock Presents” (“Funeral March of the Marionettes,” for those who many not know) starts to play, and Hitchcock himself comes out with some clever narration. 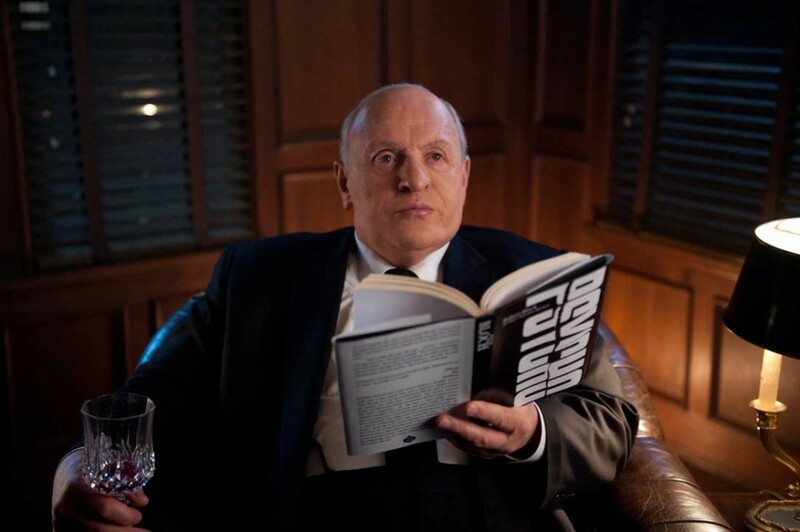 Of course, it isn’t actually Hitchcock, but Anthony Hopkins’ impressive transformation into Hitch (as his friends called him). Over the top in a completely believable way, his performance was one of the most engaging aspects of the movie. Much of the movie follows the struggle to get Psycho made, when everyone seemed to think it was a terrible idea, and the strained relationship between Hitchcock and his wife, Alma. As Psycho is dragged into existence against all odds, Hitch experiences moments of mental breakdown, hallucinating Ed Gein himself (whose advice, needless to say, implores Hitch to go down a much darker path). In one excellent moment of emotional distress and frustration, Hitchcock mimes the infamous shower scene, stabbing the air just above a realistically-screaming Janet Leigh (portrayed surprisingly well by Scarlett Johansson). This recreation is one of the movie’s best scenes. 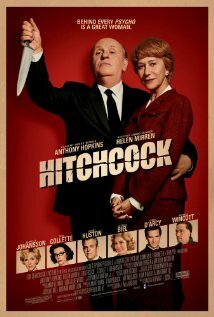 But the true hero of the movie is the one who saves Hitchcock from certain failure with his poorly-cut, soundtrack-less film: his wife, Alma (Helen Mirren). In perhaps the most moving of the movie’s scenes, Alma divulges what it’s like to be an equal partner, creatively, but always a background figure of the great Alfred Hitchcock. When it seems that all is lost, she is the one who helps him re-cut the movie into the classic it is today, and she is the one who insists on adding the soundtrack—those unsurpassable shrieking violins that immediately set any moviegoer’s hair on end. It is, I believe, the best horror movie music that has ever been written. Though we already know from the beginning that Psycho is destined for greatness, the execution of the movie is so impeccable that I still found myself wondering, how are they going to pull this off? It’s still just as much of a triumph when they do. The audience’s reactions are priceless. And, in a victory for women-behind-the-man everywhere, Alma gets her well-deserved recognition when Hitch pulls her up beside him before the press, presenting them as equals in filmmaking and in life. I won’t devolve into feminist rhetoric here, but this movie gave me a nice feeling of female power and pride, even though Alma has always been eclipsed by her famous husband. You may think you know Hitchcock and the movie Psycho, but it’s truly captivating to watch the makings of the classic play out on screen, from the first spark of inspiration to the final moments when everyone else realizes what Hitch knew all along: that this was to be a film for the ages, and one that has still endured in the public consciousness over fifty years later. If you haven’t already, I just have two words for you: See it.